In the new study, NASA's NuSTAR (Nuclear Spectroscopic Telescope Array) satellite, with its unique ability to observe radiation in the hard X-ray energy range—the highest-energy X-rays—allowed scientists to watch how the temperature of electrons accelerated by the supernova shock changed over time. 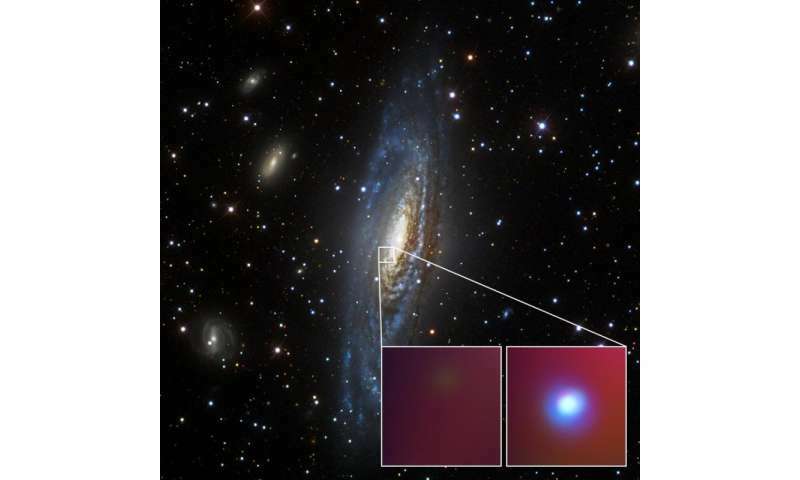 They used this measurement to estimate how fast the supernova expanded and how much material is in the external shell. To create this shell, SN 2014C did something truly mysterious: it threw off a lot of material—mostly hydrogen, but also heavier elements—decades to centuries before exploding. In fact, the star ejected the equivalent of the mass of the sun. Normally, stars do not throw off material so late in their life. Why would the star throw off so much hydrogen before exploding? One theory is that there is something missing in our understanding of the nuclear reactions that occur in the cores of massive, supernova-prone stars. 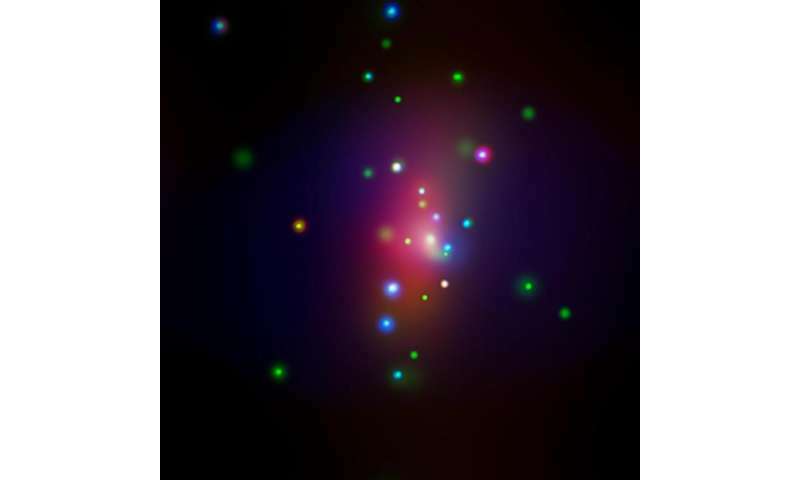 Another possibility is that the star did not die alone—a companion star in a binary system may have influenced the life and unusual death of the progenitor of SN 2014C. This second theory fits with the observation that about seven out of 10 massive stars have companions.